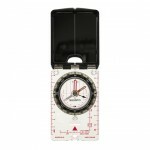 A robust, easy to use compact compass for general recreational use - ideal for beginners.Balanced for northern hemisphereFixed declination correction scaleJewel bearingDetachable snap-lock in lanyard. 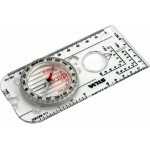 Easy to detach for working with the mapcm or inch scalesSize: 57 x 90 mm / 2.2" x 3.5"..
A compact, accurate compass for hiking and orienteering with luminous markings and bezel for easy use in poor visibility and the dark. 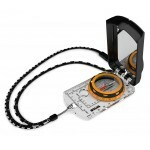 Balanced for northern hemisphere Fixed declination correction scale Jewel bearing Detachable snap-lock in lanyard. 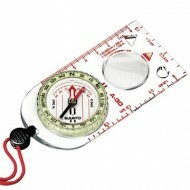 Easy to detach for working with the ..
A compact, accurate compass with a curvimeter for hiking and orienteering with luminous markings and bezel for easy use in poor visibility and the dark.Balanced for northern hemisphereFixed declination correction scaleDetachable snap-lock in lanyard. 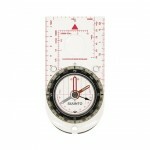 Easy to detach for working with the mapJewel bear..
Silva Ranger features DryFlex™ grip for easy handling and comes with a use-anywhere declination scale inside the capsule, a magnifying lens, and base plate map-measuring in mm and scales of 1:50,000 and 1:25,000. 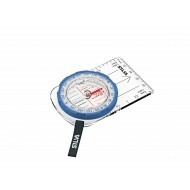 A go-anywhere tool for serious compass users. 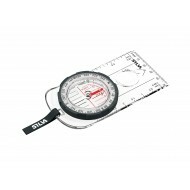 DryFlex™ Rubber grip - Easy handling of .. 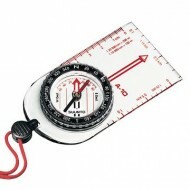 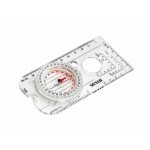 The “full-size” base plate compass for experienced navigators. 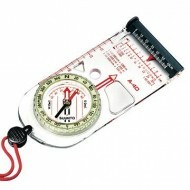 Contains everything you need in a compass and has added functionality for GPS. The Expedition 4 is used by many defence forces around the world • Compass housing made from Dryflex™ - rounded base plate – comfortable and fits any..